As any human, let along anyone with a history of anxiety knows, doing things that take us outside our comfort zones can be scary. 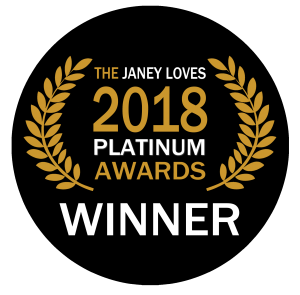 This week, I’m thanking everyone who voted for my book, 365 Ways to Feel Better: Self-care Ideas for Embodied Wellbeing (click HERE) in the Janey Loves Platinum Awards 2018. And I’m sharing some of my biggest scares from the process. The Readers’ Vote winner hasn’t been announced yet but my book was a winner in the Health and Wellbeing authors category. Yay! You can click HERE for links to photos and the full list of winners. 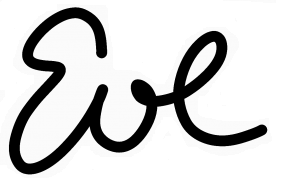 I hope sharing some of my experiences below might help you be bolder and more confident (click HERE) in your own life and work. I filmed the video above on Saturday. The day of the awards was also my 14th Business Birthday, the day I started my first coaching and complementary therapy practice and went freelance as a journalist. My mum came with me to the Go Organic Festival at Battersea Park, London so we could celebrate this or hopefully both after the announcement. On the way there, I had absolutely no idea what to expect. I’ve been to awards dinners for other people but this was a morning event and my first time being up for anything myself. I realised during the (delightful – so many majestic trees) walk to the venue that I’d spent a large part of this 14 years as my own boss as well as life in general feeling pretty terrified a lot of the time. Anxiety (click HERE) is one of my specialisms because of my own history with it. When I told my mum that win or lose, I felt like I’d already won in that I’d been brave enough to go for it, I meant it. Asking people to vote for my book was as scary as it had been, two years ago, to ask people to consider reading an advance copy and, if they liked it, to endorse it. At that time, I was already terrified having submitted the book which included some of my personal history I hadn’t shared before. Also, normal (I imagine) angst about first book. Asking for endorsements had been SO scary that I decided to calm myself down by freaking myself out completely. I approached Oprah Winfrey (I didn’t hear back but am laughing to myself now that I actually emailed her) herself in hopes that SHE might enjoy it. After that, while it still scared me to approach all the people who were kind enough to read and endorse it, it was somehow less terrifying than it had been. Similarly, even though I’ve been a freelance journalist since 2004, it took me outside my comfort zone to pitch book excerpts and related features. To be completely honest, even though I’ve been a freelance journalist since 2004, I feel some anxiety every time I file a feature for a new editor. I even feel anxiety every time I file a feature for editors I’ve worked with for many years. Thanks to an amazing friend, I had the privilege of holding my book launch at London’s Coliseum, a phenomenal building and home of the English National Opera. Even typing this, I can feel my heart beating a little faster and need to consciously breathe more deeply as it was another scarily visible thing to do. I adore birthdays and celebrate mine, each year, for a good week or longer but I typically do different things with different loved ones (lunches, dinners, walks etc) rather than a big group thing. The idea of a book launch was both terrifying and exciting. And the reality of the delightful day became one of my life highlights so far. Each book signing and workshop at various libraries, bookshops and holistic centres has been scary and delightful. On the plus side, because my work is all about self-care, almost every talk, workshop, yoga class etc I do is geared towards helping participants better support themselves so the work constantly helps me, too. Over the years, I’ve learned many tools that help and by increasing our comfort zones while being kind to ourselves, we get to expand them. Alternatives include letting our worlds get smaller and smaller as we do less and less because life can feel so scary sometimes. Or attempting to force ourselves out of our comfort zones and freak ourselves out so much that we then scuttle straight back into them and they typically shrink a little. Self-soothing, talking kindly to ourselves as we might to a beloved cat, toddler or puppy can help us calm the amygdala, the alarm bell of the brain that’s so active with anxiety. This then helps get the prefrontal cortex on board. This is a more sophisticated part of the brain and when we’ve calmed ourselves either through breath work (click HERE) or movement (click HERE) or talking ourselves down calmly, we can remind ourselves that all IS well. We have nothing to fear. We are safe and everything is working out perfectly. With 80% of the signals between body and brain going up the vagus nerve from the body to the brain, it’s generally easier to work with the breath and body (first two options) rather than telling ourselves to calm down. This then means the brain can send signals of safety down to the whole system (more HERE). Even so, asking people to vote for me felt huge. Being invited to the announcements and making that decision to show up was a big thing for me. 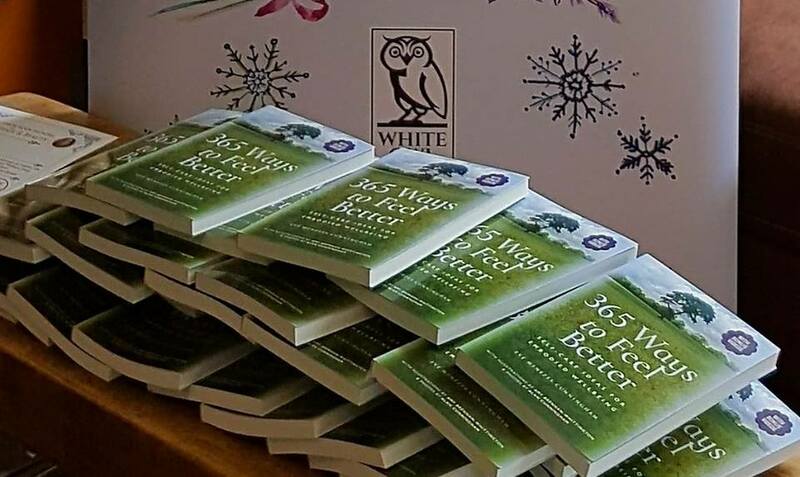 In reality, there was a lovely atmosphere and I met some delightful holistic therapists, authors, coaches and creators of products. There were a lot of categories and my favourite winners were the ones who showed their delight at finding out they’d won. 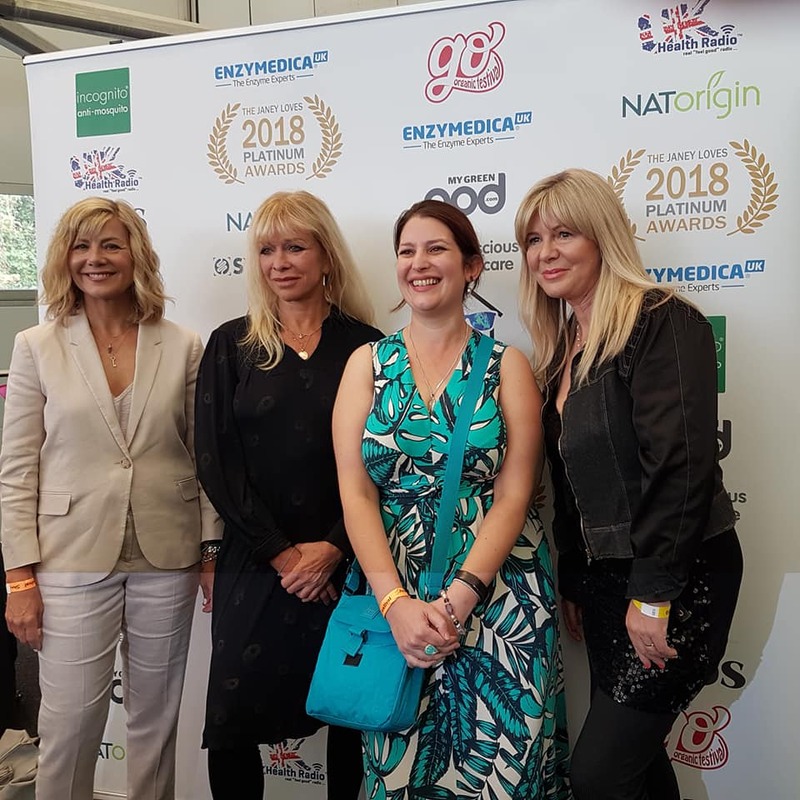 Afterwards, we were invited to have our pictures taken with the judges, Janey Lee Grace, Glynis Barber and Jo Wood. Thanking people in various Facebook groups as well as individually on the Saturday evening was another way to both honour that I’d gone for it (and won an award). And it was tinged with (more) anxiety in case people thought I was showing off. I reminded myself of one of my favourite sayings: What other people think of me is none of my business. And I did some EFT (click HERE) on myself to clear that and was bowled away by all the support and heartfelt congratulations. I had a couple of snide comments. Just two. And this, of course, captured my attention for more minutes than I’d have liked. Again, thanks to my work, I could remind myself that it’s normal to focus on the negative (we humans have survived for as long as we have because it’s safer to mistake a twig for a snake than the other way around) and then I tapped it away with EFT. It astonished me at how often we hold ourselves back for fear of a negative response whereas my reality was far more supportive and loving than I’d imagined. I’m no Alicia Keys, obviously. This wasn’t the Grammys. But it was a huge step for me in playing that bit bigger. What would help you step up more in your own life? How have you gone for what you’ve wanted and succeeded? What have you learned from ‘winning’ or ‘losing’? What has helped you to keep moving forward? With hindsight, what would have helped you more? You might enjoy Tara Mohr’s delightful book, Playing Big (click HERE) – while aimed at women, I believe anyone can benefit from examining the little things we often do unconsciously that hold us back. Previous Post Wellbeing Wednesday: What helps you when you feel like you’re banging your head against a brick wall? Next Post Wellbeing Wednesday: Why DON’T you want what you want? Eve, this is amazing! Showing up feels scary but fin and expansive. I love it!